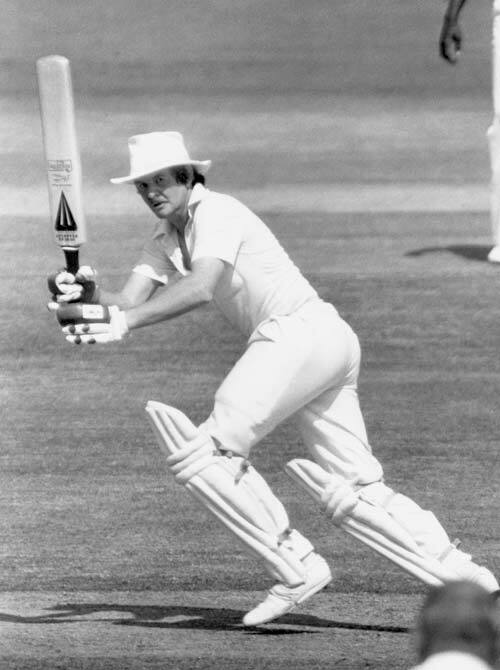 Flicking one away towards square-leg, Glenn Turner prepares to score another run as captain of New Zealand's cricket team in the 1970s. Cricket was then evolving from an amateur to a professional sport and while representing New Zealand as an amateur, Turner also played professionally for the UK county team Worcestershire, eventually becoming its captain. He is regarded as New Zealand's first truly professional cricketer.